Successfully Added Mini Portable 3-Axis Handheld Smartphone Gimbal Stabilizer with Battery for Phone Camera to your Shopping Cart. 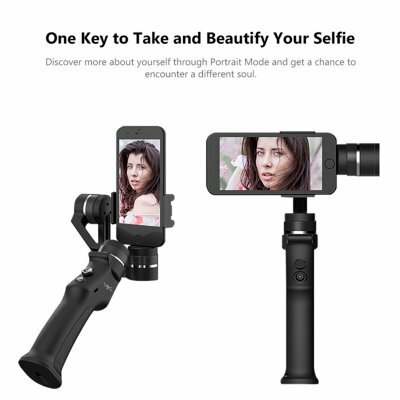 Can take camera in horizontally and vertically, one key to switch. The motion camera mode automatically calls matching PID parameters, which responds faster and meets the needs of motion shooting. It can identify objects and automatically follow the pictures of moving objects. Support delay photography, let you easily record good times, shoot everyday wonderful video. Excellent performance, integrated design, perfect function, simple operation and excellent user experience.